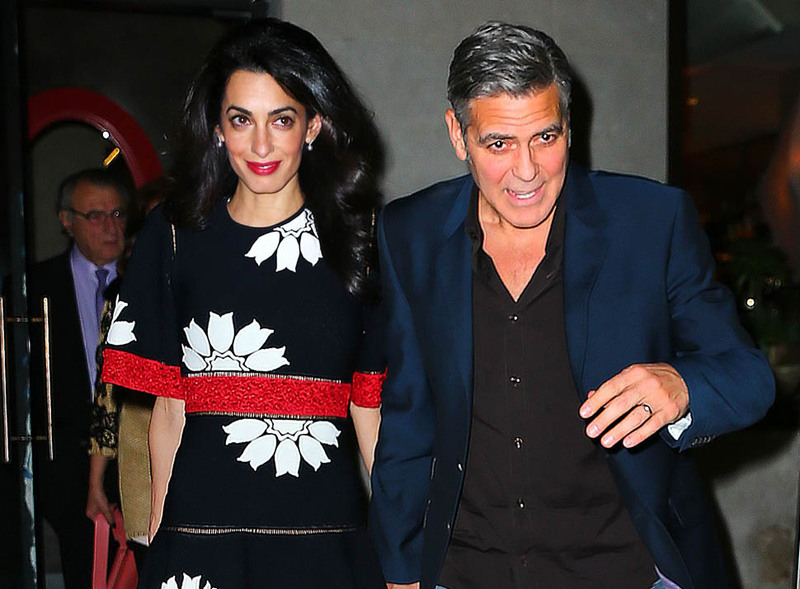 Amal and George Clooney were out last night in New York for dinner with her parents and her sister. They went to Caravaggio. 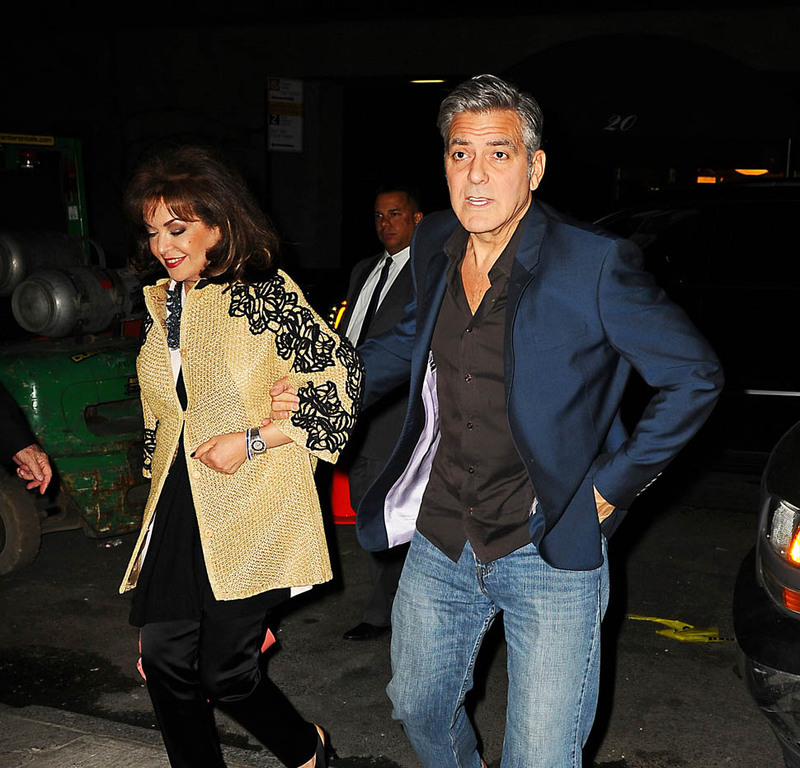 George Clooney LOVES Italian food. Actually, he loves Italian everything. Sh-t, why didn’t it work out again with Elisabetta Canalis? Anyway, Amal is wearing Alexander McQueen. It’s a great dress. I love the way the waist lines up with the sleeves. During her time in NYC, it’s been a fashion show almost every time she steps out. And in just five days, NYC will be taken over by the biggest fashion show of the year – the MET Gala. 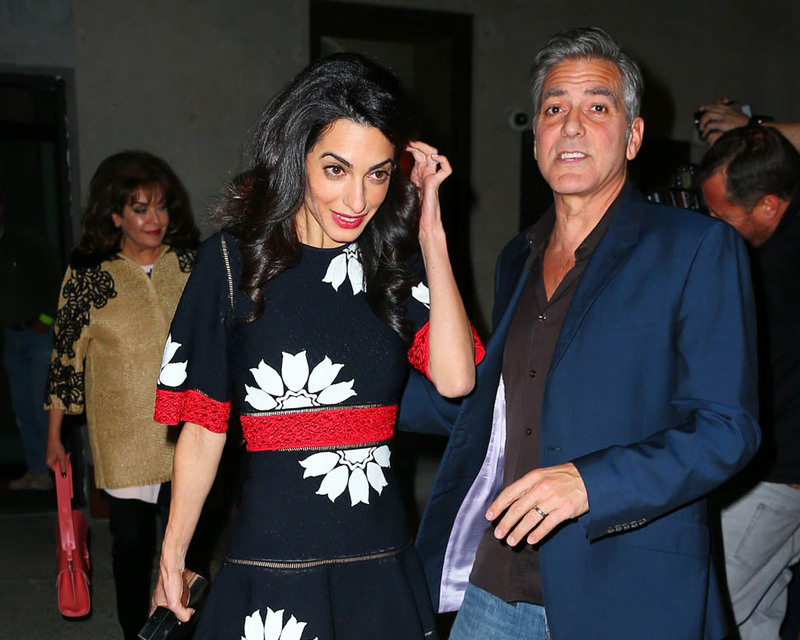 Amal and George were not on the leaked list of attendees that was released last week. I’m still hoping.